The Fancher Party set out from Arkansas in April 1857, determined to reach the fertile fields of California- but they never reached their destination. Instead, they met their deaths at the hands of Mormon settlers and Paiute Indians near Mountain Meadows, an area just south of present day Cedar City, Utah on September 11, 1857. The mid-1850s relationship between Latter-day Saints (or Mormons) and the United States government, who felt that they were growing too powerful, was tense. In response to the growing power of the leaders of the LDS Church in Utah, the federal government sent a large Army to Utah in 1857 to assess the situation and suppress any potential rebellions against the United States. With the army's approach, fear and anxiety spread among Mormon settlers in Utah Territory. It was in this atmosphere that the Fancher party crossed Utah Territory on their way to California. Contention abounded between the Fancher Party and the Mormon communities through which they passed on their journey west. 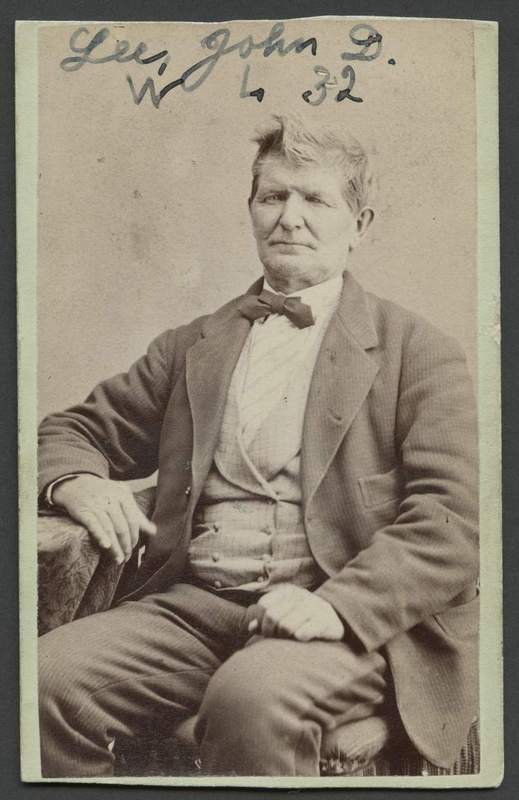 The emigrants chided Mormon settlers that the army was coming to suppress the religious group, and boasted that members in their group had persecuted Joseph Smith, the Church’s first leader. Their threats to steal from Mormon communities further enraged the Saints, creating a climate that resulted in extra-legal vigilantism. In response to the perceived threats, LDS leaders in Cedar City and Parowan took matters into their own hands. Isaac C. Haight, William Dame, and John D. Lee solicited the aid of local Paiute Indians to steal the settlers’ stock while the local community plotted to attack the emigrant train encamped at ‘the Meadows.’ Under the ruse of a white flag, Lee led the Indians in the raid. Then, the local men disarmed the wagon train and killed around 120 emigrants on September 11, 1857. Only seventeen members of the party survived, all children too young to remember the attack. After the massacre, word came from Brigham Young in Salt Lake City for the Saints and the Paiutes to let the emigrant train pass unmolested. Unfortunately, his letter came too late to save the emigrant party from disaster. Some debate Young's knowledge and timing of the letter. A series of cover-up stories allowed those responsible for the massacre to escape prosecution for years. John D. Lee faced trial in 1875, though the court did little to address the situation. A second trial commenced in 1878. This time the court attributed full responsibility for the massacre to Lee, ruling that his actions qualified as murder. The jury sentenced Lee to death and the federal representatives executed Lee on March 23, 1877. The involvement and role of Paiute auxiliaries is still debated to the present. The other men responsible for the massacre escaped legal punishment. Most of the massacre survivors eventually rejoined relatives in Arkansas and California. 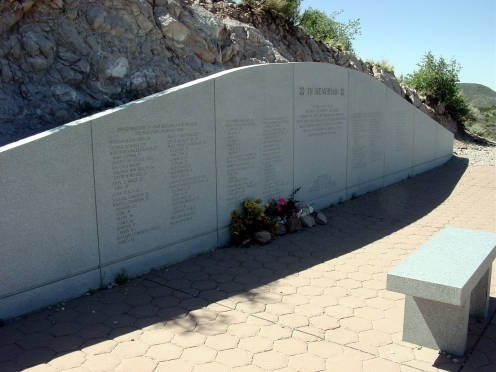 Representatives of the participants dedicated a memorial commemorating the tragedy and honoring the families who died at Mountain Meadows in 1999. John D. Lee ~ Source: Fennemore, James. John D. Lee. Circ. 1875. Courtesy of the Church History Library, The Church of Jesus Christ of Latter-day Saints. 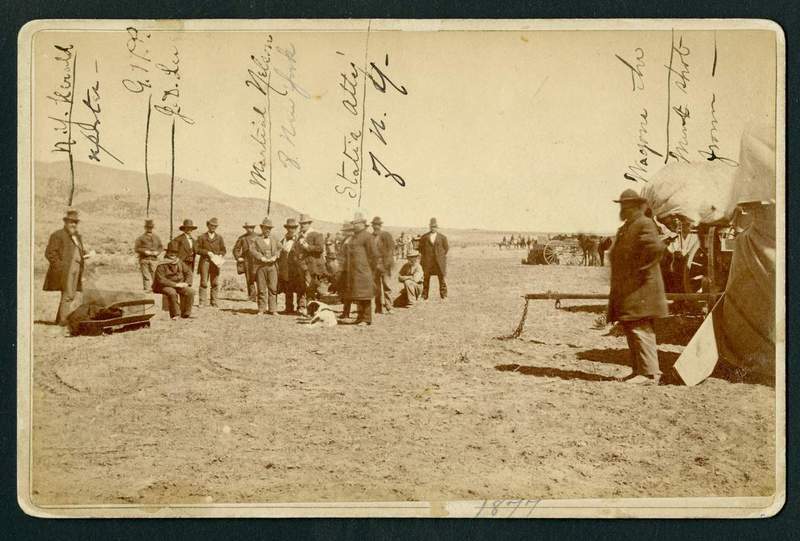 Execution of John D. Lee ~ Source: Fennemore, James. Execution of John. D. Lee. March 23, 1877. Courtesy of the Church History Library, The Church of Jesus Christ of Latter-day Saints. 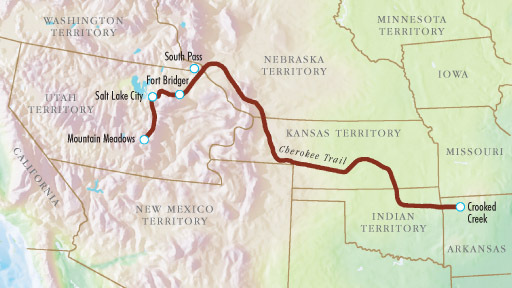 Map of Fancher Wagon Train Route ~ Source: Map of Route of the Francher Wagon Train. September, 2007. Article “The Mountain Meadows Massacre.” The Church of Jesus Christ of Latter-day Saints, www.lds.org. 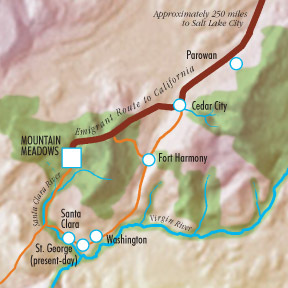 Map of Mountain Meadows Massacre Site. ~ Source: “The Mountain Meadows Massacre.” The Church of Jesus Christ of Latter-day Saints, www.lds.org. September, 2007. Memorial ~ Source: Mays, Kenneth R. Mountain Meadows, UT. 2002. Religious Education LDS Church History and Doctrine, Harold B. Lee Library, Brigham Young University. 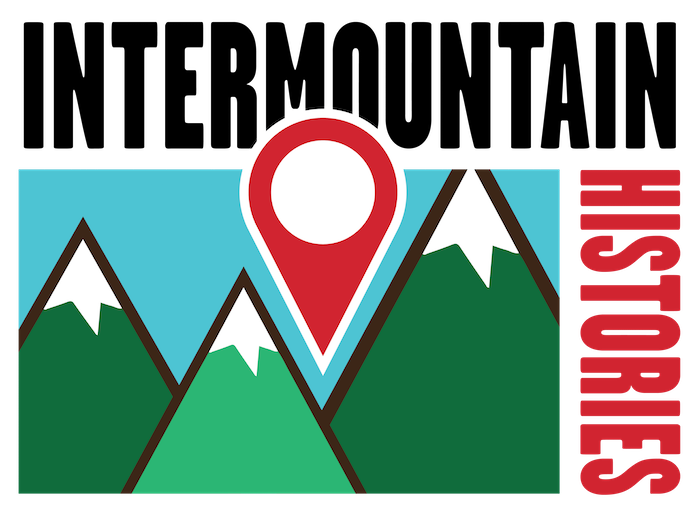 Rachel Hendrickson, Brigham Young University , “Death at Mountain Meadows ,” Intermountain Histories, accessed April 20, 2019, https://www.intermountainhistories.org/items/show/22. Lee, John D. Mormonism Unveiled: The Life and Confession of John D. Lee and the Complete Life of Brigham Young. Albuquerque: University of New Mexico Press, 2008. Lee, John D. Writings of John D. Lee. Edited by Samuel Nyal Henrie. Tuscon: Fenestra Books, 2002. Turley, Richard E., Janiece L. Johnson, and LaJean Purcell Carruth. “John D. Lee Trial Transcript Archive,” Mountain Meadows Massacre: Collected Legal Documents, (2007): http://mountainmeadowsmassacre.org/mountain-meadows-massacre-collected-legal-documents Brooks, Juanita. The Mountain Meadows Massacre, Norman: University of Oklahoma Press, 1962. Compton, Todd M. A Frontier Life: Jacob Hamblin, Explorer and Indian Missionary. Salt Lake City: University of Utah Press, 2013. Walker, Ronald W., Richard E. Turley, and Glen M. Leonard. Massacre at Mountain Meadows. New York: Oxford University Press, 2008.